The sub-forms on the main form are treated as objects of the main form. These objects (Sub-forms) have other controls (like Textboxes) within them and we cannot set focus on one of the text controls within the sub-form directly for keying in values into it. 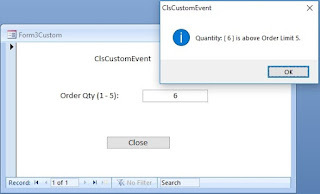 That doesn’t mean that we cannot address the controls directly to retrieve or set value into that control through vba. 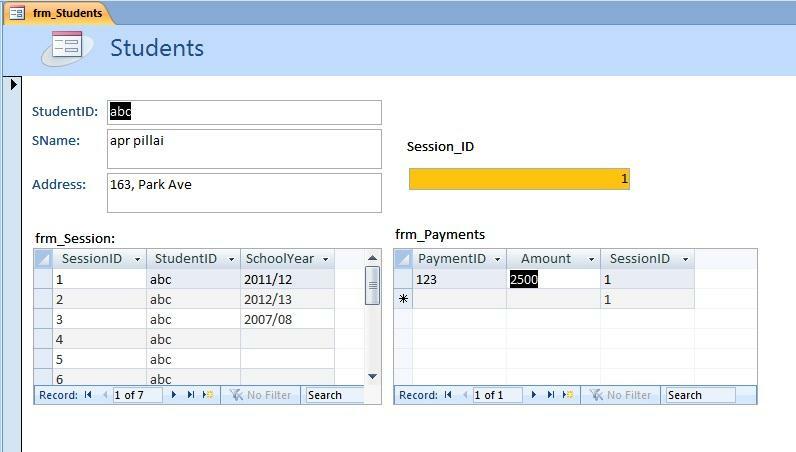 Setting focus on Amount field of frm_Payments directly, when frm_Payments doesn't have focus on through vba is not possible. The above statement may highlight the Amount field, but the focus will not change to that field. But, we can retrieve the value directly from the Amount field of frm_Payments, even when the focus is not ON on that form, with the following statement. 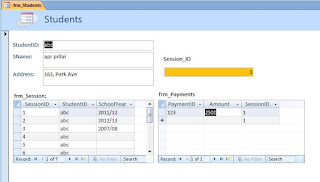 'this statement retrieves the Amount field value directly. When the frm_Payments sub-form have the focus ON you can address a control (say the Amount field) within that form to set the real focus on it. Set focus on the sub-form object first. By setting Tab Index Value of the frm_Payment Sub-Form to 0 also works. Set focus on any control within the frm_Payments sub-form. Next we will see how to jump from last field of one sub-form record to it's corresponding record field on the second sub-form directly. If you think it is so easy after learning the above two lines, then think twice. Shifting Focus from one sub-form to the other.